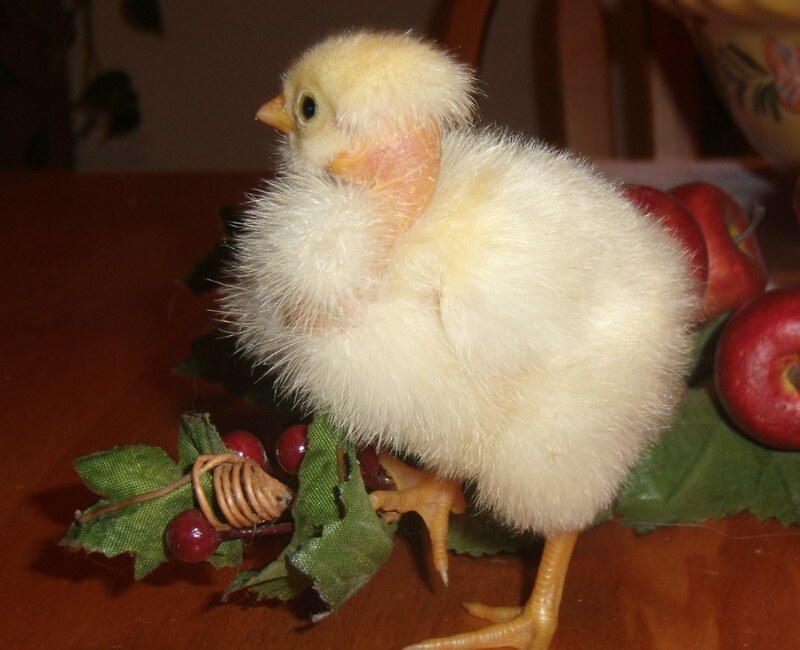 I usually get peeps in the spring, but because our egg laying was way down I decided to try sooner with some fall peeps. They should be ready to lay in the spring. 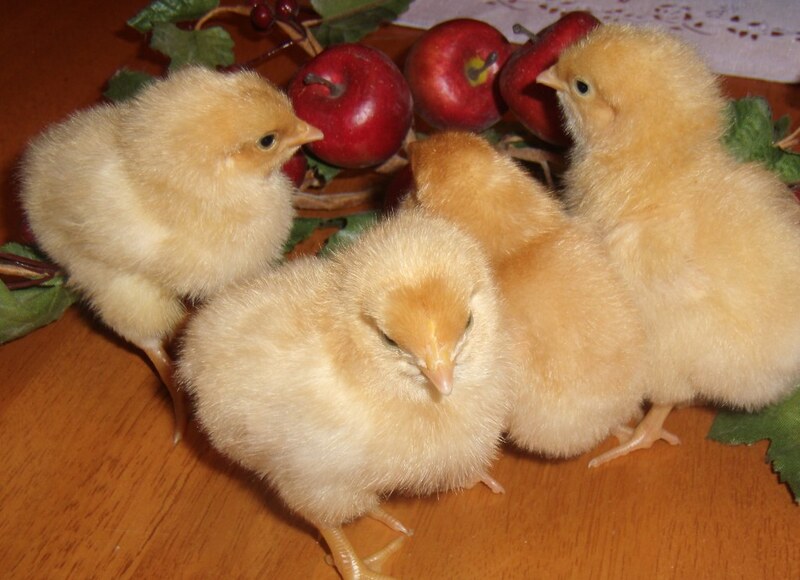 I got 4 each of 4 breeds (all brown egg layers), plus an exotic that Murray McMurray Hatchery throws in for free. All 17 survived the mail and here they are in all their glorious puffiness! Don’t they have beautiful eye liner! And finally the freebie exotic. Usually I have no idea what the exotic is until it grows up, but there was no mystery to this one! 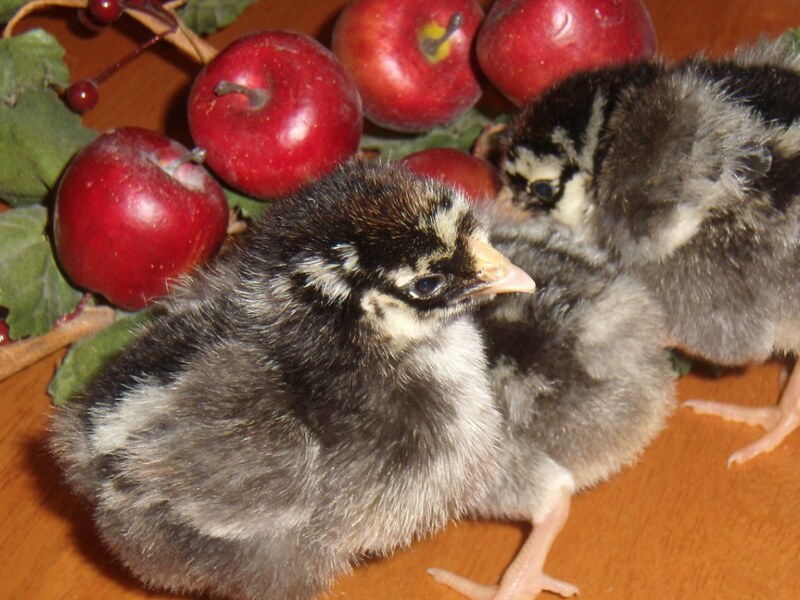 Probably my least favorite of any chicken breed–I have no idea why people like them enough to keep breeding them. But I am now the proud owner of a turken. My mother is afraid I will be biased against it since I don’t care for the breed. So she named it Precious. I will love Precious with all my heart! 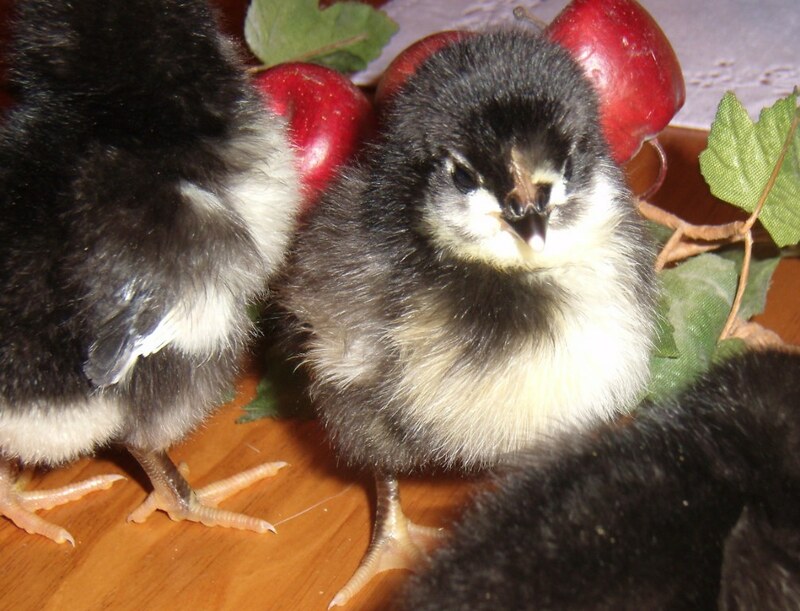 This entry was posted in chicken and tagged Black Austrolorp, Buff Orpingtons, peeps, plymouth barred rock, Silver Laced Wyandotte, Turken. Bookmark the permalink. They are just so adorable!!! 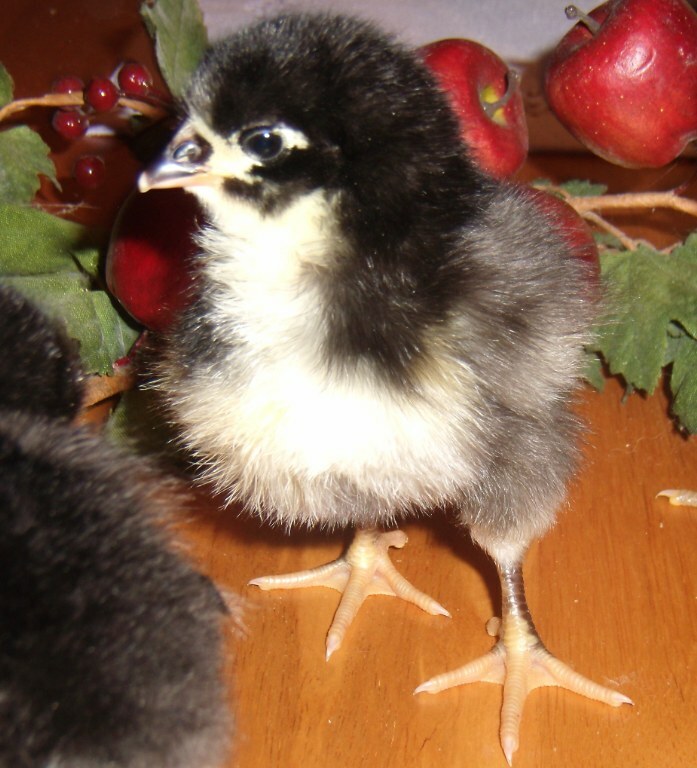 If needed to have BIG chickies, I would choose the Buff Orpingtons! I first saw them on a sightseeing trip in PA with your mum. 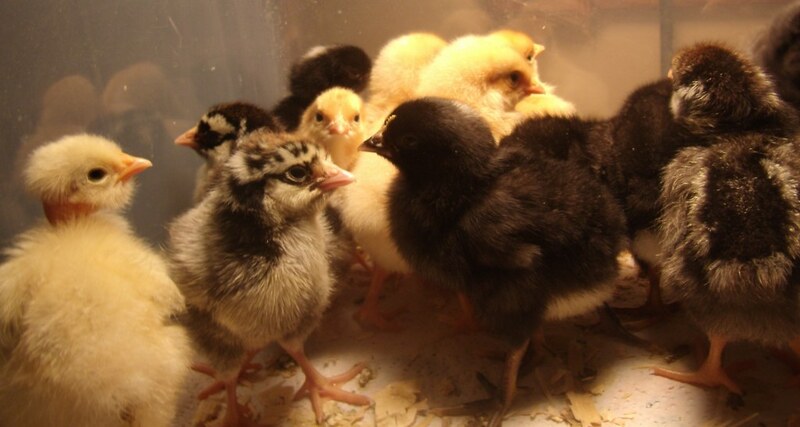 But my flock of 40 banties, no 2 the same, will keep me in tiny eggs for awhile!! 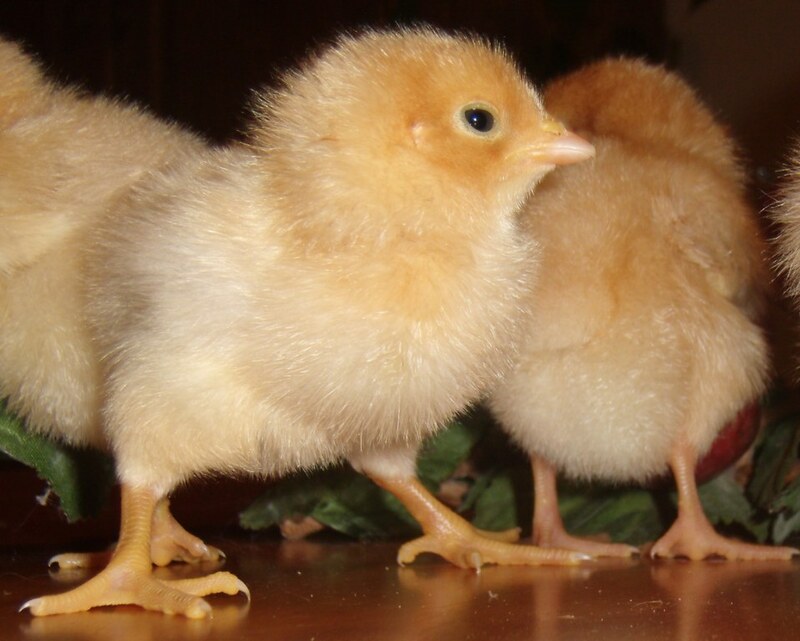 The buff orpington is a very pleasing heavy bird, with a pretty coloring and lovely personality. Look forward to meeting Synty! 😀 I’ve had the Silver-laced W’s before and also Gold-Laced ones. They are very beautiful with their penciling. I’m jealous. 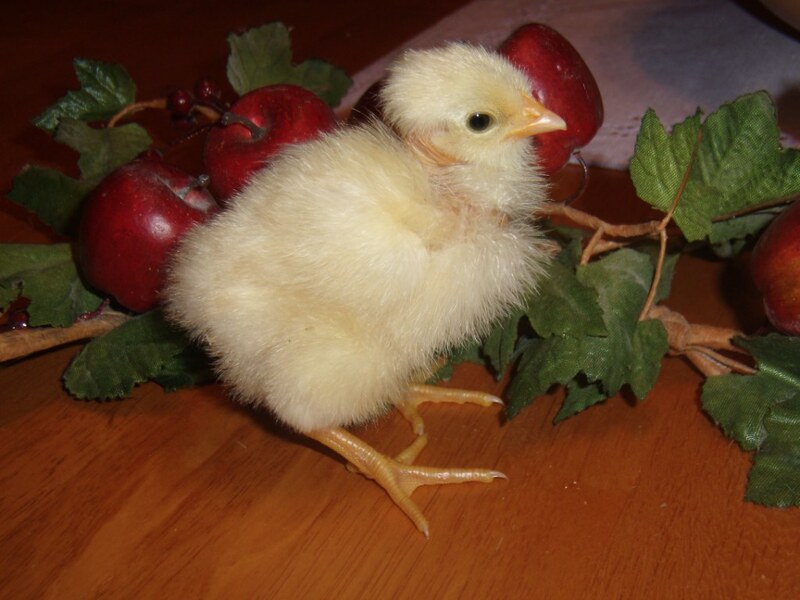 I guess we need to get new chicks sometime. Our 6 girls have slowed way down. The 2 Plymouth Rocks are putting out but the rest of them are sporadic at best. I guess next spring we need to change them all out. After about 18 months it seems production definitely begins a decline. But its fun picking out new ones! And they all get along together…amazing! You will have a nice mix in your flock come spring. I’m partial to the silver and gold laced. And I’m glad you are determined to love your precious exotic because I’m with you on the least-favorite perspective. (Shudder). But it isn’t her fault. Good idea to have a fall fruit theme background. 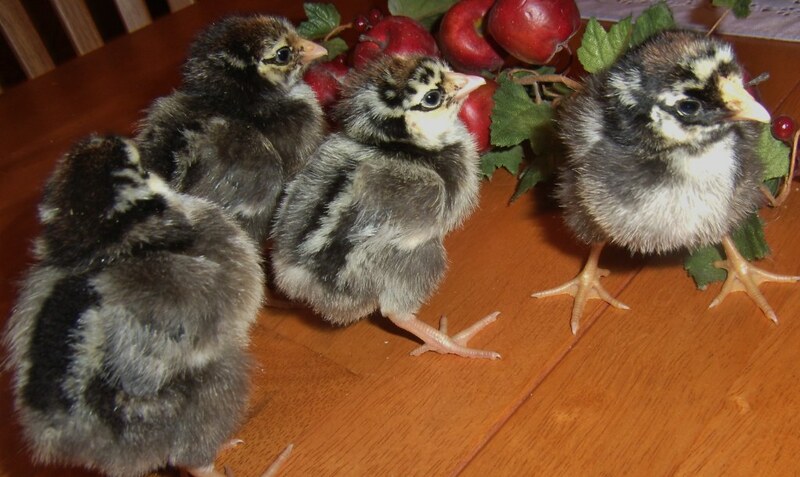 If later you look back at peep pics you will remember that these were fall-hatched. 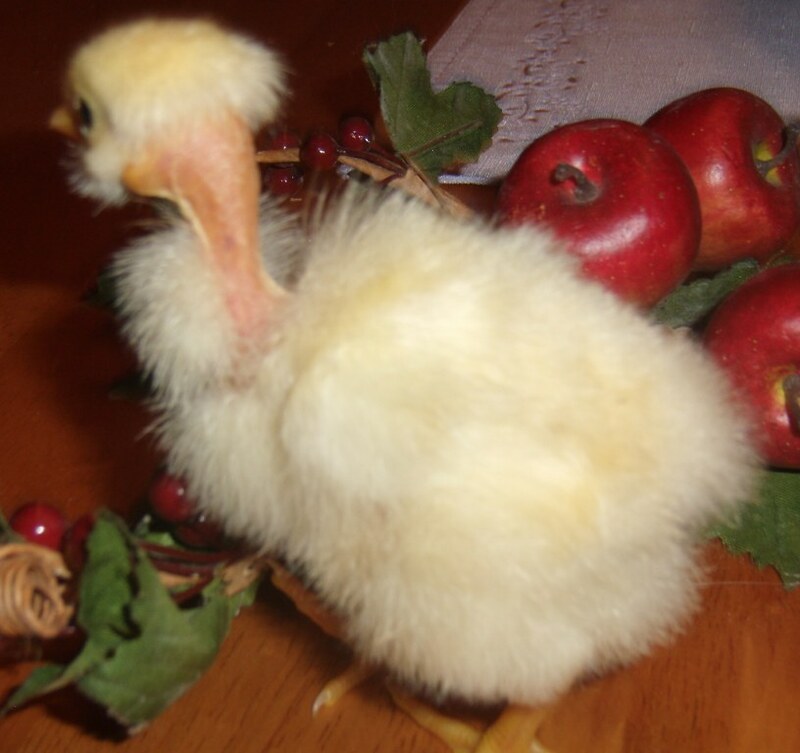 That’s exactly why I did the apples–to help me remember because I usually get peeps in the spring!